CompStak is the first and largest crowd-sourced website for commercial real estate (CRE) information. The company was founded in 2011 by Michael Mandel, a former New York City commercial real estate broker who was out to solve the problem of inefficient data sharing in commercial real estate. CompStak Exchange is a free platform for the exclusive use of CRE brokers, researchers and appraisers. Exchange members provide lease comps for credits, and can redeem the credits to unlock the lease comps they need. CompStak Enterprise is a platform for landlords, investors, asset managers and lenders. These customers pay a subscription fee for unrestricted access the lease comp information, insights and analytics. CompStak's customers are among the world's largest landlords, investors, and lenders. 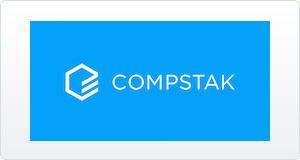 Since 2011, CompStak has gathered hundreds of thousands of comps in major US markets, and continues to expand to cover additional markets.